Do you own a business in the Liverpool area? Maybe you are centred in the North West? Why not collect your plastic containers from our Birkenhead factory and avoid delivery charges. At H&O Plastics we are incredibly proud of our handling and delivery capabilities. We have our own courier group which delivers large and small-batch orders up and down the country. Our delivery is fast and reliable. In many cases, we have the containers ready to go so we can get your order to you intact within three days. Running our own distribution network ensures that our customers get a first-rate service from their trusted manufacturer. It also means that we can guarantee bigger economies of scale for larger business orders because we don’t have to use couriers who can charge high premiums for larger orders. We do, however, allow customers to collect their orders from our manufacturing site completely free of charge. Our doors are open Monday to Friday for local customers to come and collect their orders. This is perfect for businesses who are only ordering small quantities. Local small business owners love the fact that they can drive down the road, pick up their order and fit them in their car or van. The team are always eager to meet our customers in person – and you can have the opportunity to come and see where our buckets are made. 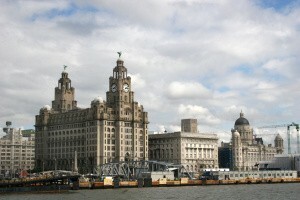 Our factory is situated in a great location just over the Mersey in Birkenhead. We are very close to both the A59 and A5139, with good transport links from the M62 and the M53. Because of our close proximity to major road networks, we even get people from surrounding areas such as Wigan, Warrington and Ellesmere Port coming to collect their buckets. For some orders, these customers can really save money by avoiding the delivery charges. We work hard to help businesses in Liverpool. Many local companies rely on our containers to store, transport and package the products which they work hard to create. In return, lots of businesses choose to support their local manufacturer by purchasing our higher quality products. In this way our businesses can support each other and help foster growth and development in the local economy. Come and say hello, we are keen to hear from you. Simply purchase your desired plastic container online, select the collection option on the ‘cart’ page and collect your products when they are ready. If you have any questions don’t hesitate to talk to a friendly member of our team on 0151 639 0002.